You guys, it’s so hard to believe that I’ve been blogging for 5 years! My actual “blogiversary” was yesterday, but as I’m sure everyone can relate, the day slipped past me. I want to start by saying THANK YOU to each and every one of you who have visited my website throughout the years. 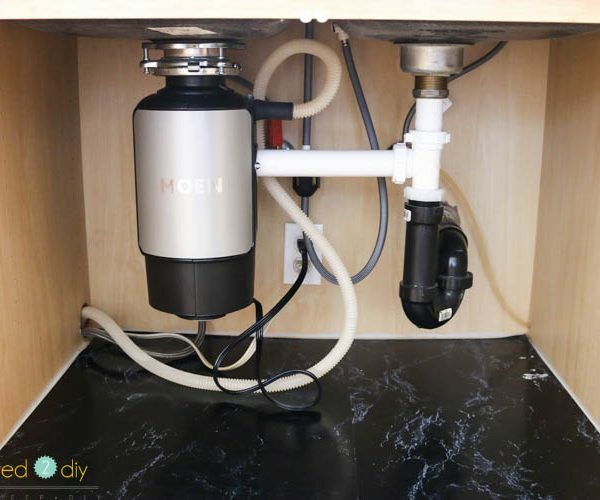 It’s been such a fun experience sharing my projects with you and hopefully inspiring some of you to either begin your first DIY project, or expand on your skills. 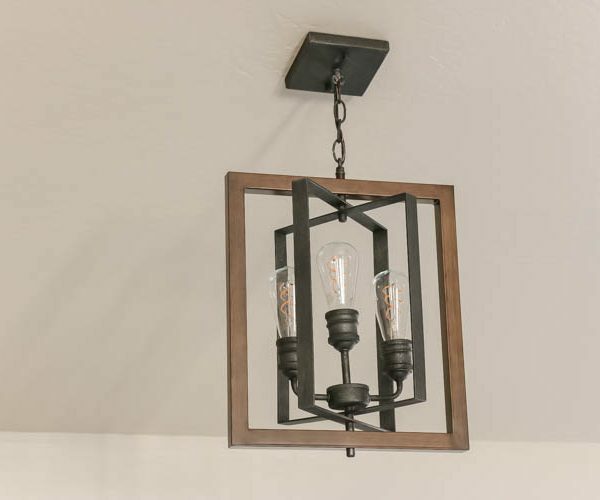 I started this blog to share the projects I was building for my home and serve as a guide for others who were beginning their DIY journey. 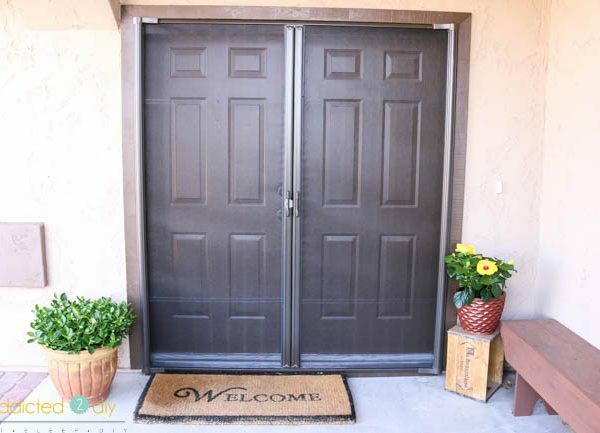 When I got started, we had a very low budget for home improvements and I knew that the only way we were going to be able to fully furnish our home was to build our own. I had no idea what I was doing when I first got started and have learned so much throughout this journey. As a special thank you, I’m hosting a giveaway at the end of this post, so be sure to read all of the way to the end and enter! This project is the one that started it all. I built this kitchen island back in 2013 as a craft table and it served me well for several years before I remodeled the entire room and built my Murphy Bed. It was the first project I ever built by myself and I learned so much while building it. As my skills grew, so did my projects. The Murphy Bed I mentioned above was definitely the largest, furniture project I had ever completed and at the time was the most advanced. I’d say it’s my favorite, but I swear, it’s hard to choose just one. I’ve also checked off some major items on my list of home improvement goals, including remodeling my dining room and kitchen. I can’t tell you how good it felt to get rid of those granite mountains that made up our backsplash. The roof leak and subsequent water damage we discovered during the process was less than pleasant, but it ended up being a blessing in disguise. We would have never noticed the leak otherwise. I never in a million years expected to be able to work with incredible brands, or turn this hobby into a business. I just figured I’d throw a few ads up on my site and hope to make a few dollars each month to go towards my next project. I DEFINITELY never expected that my DIY blog would cause me to start up a second business on Etsy, selling kitchen towels. It’s amazing how one little craft project over 4 years ago flourished into a new business venture. Probably one of the biggest surprises throughout this whole blogging journey has been the friendships I’ve made. I mean, who would think that a bunch of people you meet on the internet would suddenly become some of your closest friends! They’ve been there for me during some of my biggest struggles, building blunders, and amazing achievements. I definitely couldn’t continue doing this without them. When I started blogging, I had no idea how to take photos (still a work in progress), draw plans, create videos, etc. They were all things that were on my bucket list and I’m so happy to be able to check these things off. I’m still working on perfecting photography, but one day I’ll get there. I’m definitely not going anywhere any time soon. I’m just getting started and having way too much fun. One thing I would love to do; however, is learn from you, my readers, what building projects you’d like to tackle, what plans you’d like to see me design, and what skills you’d like to learn. Whatever is holding you back, my hope is to help you get over that DIY hurdle. So tell me. What projects would you like to see me build? Furniture? 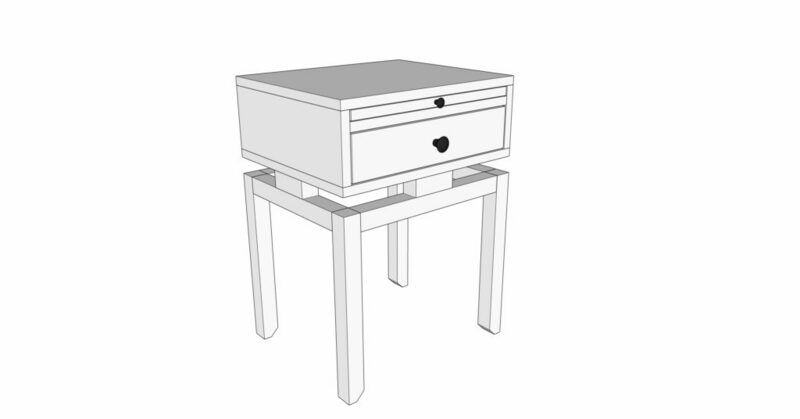 Shop Furniture? What techniques would you like me to showcase? Beginner? Limited tools? Advanced tools? If you have plans you’d like to see me share, just leave me a comment and I’ll see what I can do! Three lucky readers will win a special gift as a thank you for following along on this journey with me. These giveaways are not sponsored by anyone. It’s just me showing my gratitude. I have decided to give away e-gift cards to two of my favorite stores as well as a gift from my Etsy shop! Just follow the instructions on the entry forms below. You can enter all three giveaways or just one. Whatever you like! I’m holding this giveaway for U.S. residents ages 18 and older. I’ll randomly select the three winners at the end of the giveaway and send email notifications. Should I not receive a response within 48 hours, I’ll randomly select a new winner from the corresponding giveaway. Thanks and good luck! Love the things you’ve done over the past 5 years! I’m trying to design my new “office/craft space” so anything you have on that would be great. I really like the kitchen island turned craft cabinet. Congratulations on 5 years! I believe I started following you around your kitchen remodel. I love your sons newly built bed, amazing! Happy Blogiversary!! 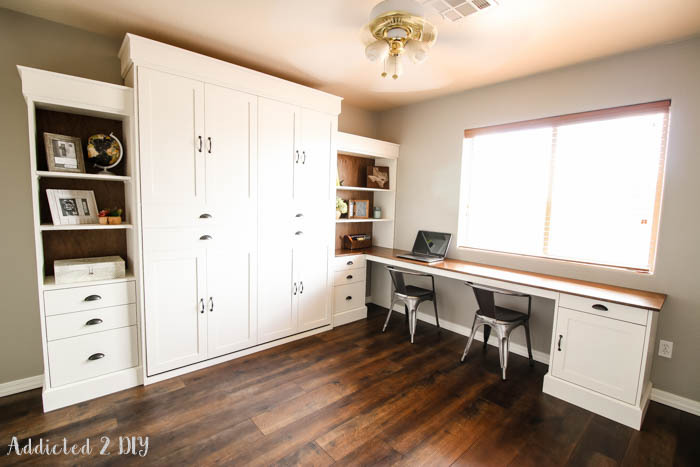 I love all your projects but your craft room Murphy bed is one of my favorites. 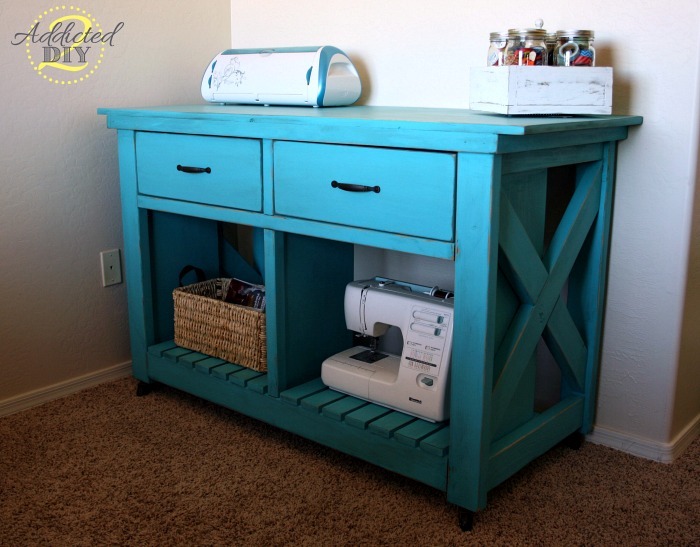 Although I don’t think it will work with my future craft room, I do plan on using it as inspiration! Happy Blogaversary!! When you say it’s been 5 years, that’s crazy. I’ve been following since the beginning and can’t believe it’s been that long! I’ve printed and collected so many of your projects with the latest being your Captains Bed. LOVE IT!!! One day I’ll get my Murphy Bed built 🙂 I love that you build things relevant to your life, which is relate-able to all. I feel like my family is growing along with yours so when your kids need something, it’s around the time my kids also need it (hence the Captains Bed!). Keep up the great work and diversity in things you post. I like that some things are harder than others…push you to buy or try a new tool…or just something to follow and learn from. 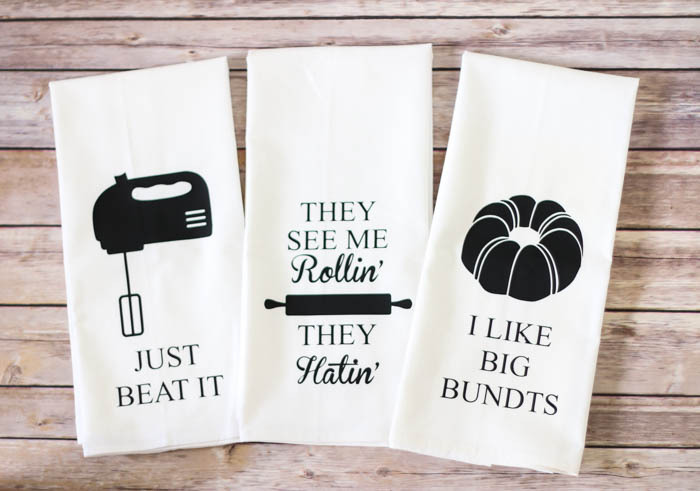 I love the towel sayings, but I think my favorites are: I like Big Bundts, Everyday I’m Brusselin’, and Push it Real Good. Thanks for making my sing all the songs in my head now. Wow, congratulations on 5 years! I love the its all about the baste, Lets get them something to taco bought, and whip it. In terms of projects, I would love easy Christmas ornaments, and a china cabinet type project for the house. I’m so glad found you! I love your talent and style! Keep it up. Thank you so much, Aliza! Love your designs, just my style as well. and I love all three of your towels. Glad your still blogging, five years is a long time. Brusseling towel is my favorite. I enjoy your blog, you are so inspiring! I love big bundt towels. Just beat it. I love your projects but for me the simple beginner ones appeal the most. I’m 73 with Rheumatoid Arthritis so the simple ones are the ones that I can do to keep active. Thanks for all you have shared. Thank you, Betty! I’ll be sure to keep coming up with simple projects. Sometimes those are the most fun! Your blog is one of the first that I started following. 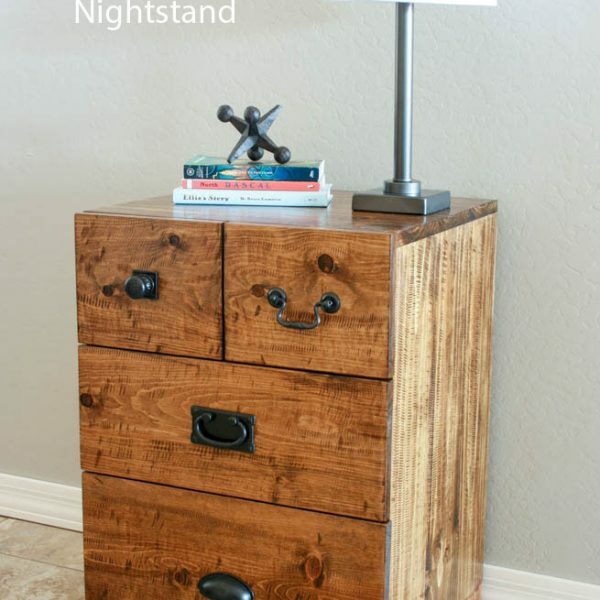 I love your projects and your attitude that anyone can be a diy-er! I like all the towels but kale yeah is a great one! Thank you so much for following along, Linda! Congrats on 5 years! I recently started following you after reading the knockoff Project’s article. 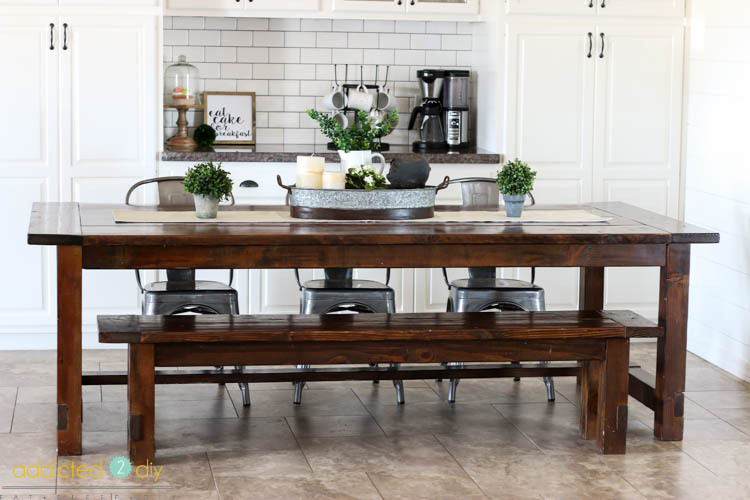 I’m planning on building that awesome entryway bench for our new house. I like any of the towels. I find them whimsical. I really like your projects a lot. I get good ideas from your projects. I am amazed at all you can do. I want to do so many projects, I have no end of thoughts of how to make our small space more useful, then I run into that wall, the one where I think, but how do I even begin?? I love reading your blog and really enjoy watching how your projects come to life. I love the towel JUST BEAT IT. Just what I need ! Trust me. I hit that wall on a daily basis;) Once I finally just jump into a project, though, it all works itself out! Congratulations on the 5-year milestone! Congratulations on the milestone! I just made a bathroom vanity and was so darn proud of myself. 😁 so I would like to see more furniture. Congrats! 5 Years can sure fly by! Love all the towels! I am somewhat disabled, but still love to see what you’ve done although I do not have the tools to build for myself and lack my Dad’s knowledge of carpentry, etc. I knit, sew, and crochet though! I build that way (learning quilting) and lots of it for charity. Either way, you’re still creating and doing what you enjoy! Thank you for following along!